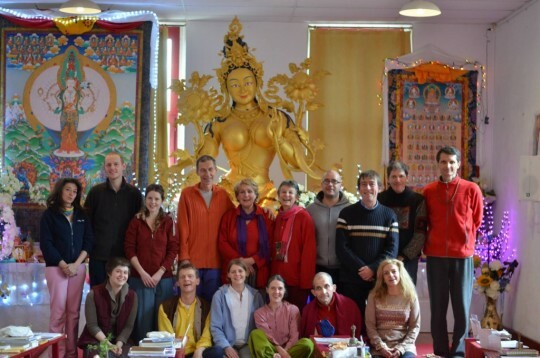 Institut Vajra Yogini students engaged in ongoing 108 nyung nä retreats. 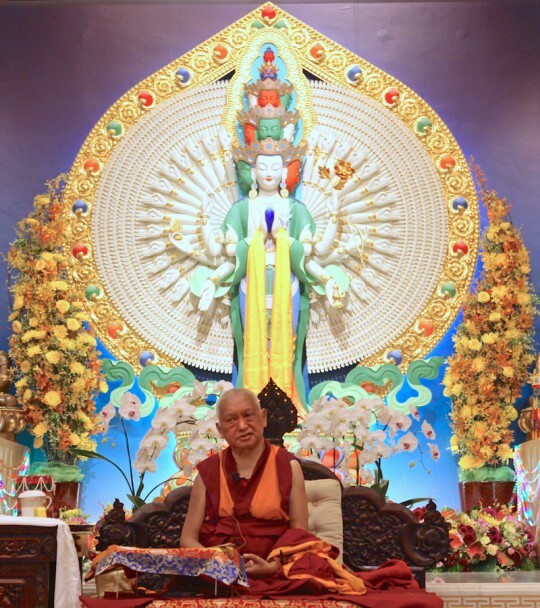 The Practice and Retreat Fund provides grants and sponsorships to: students engaged in retreats such as 108 nyung nä retreats, 100 million mani retreats, recitations of sutras, and long-term retreat; develop retreat centers; up to 15,650 Sangha offering prayers and pujas for the benefit of the entire FPMT organization; and writing out the Prajnaparamita Sutra in pure gold to create the cause for the actualization of the Maitreya Project. Anybody who dedicates their life to achieving lam-rim realizations with the goal to liberate numberless beings from the oceans of samsaric suffering and to bring to enlightenment, this is what I regard as the most important thing in the world. 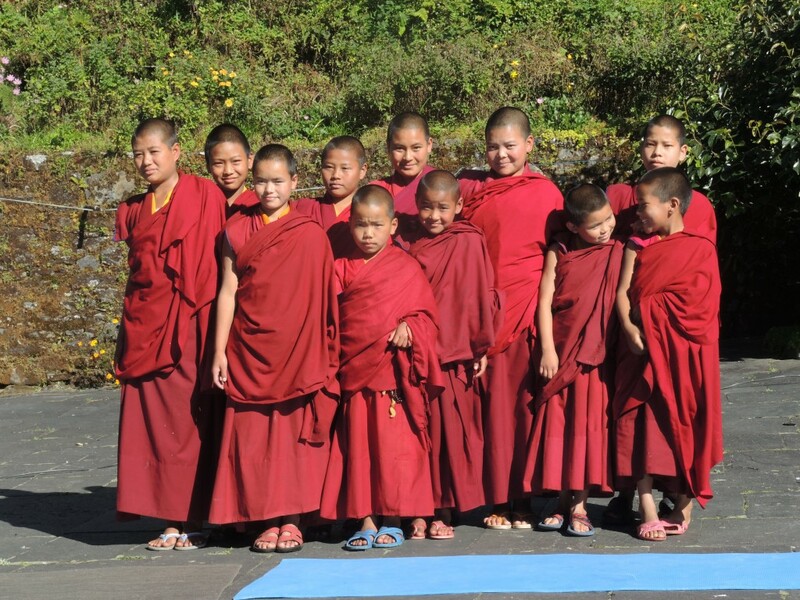 Since 2009, Lama Zopa Rinpoche has sponsored the nuns of Tashi Chime Gatsal Nunnery, Nepal, to complete one or two 100 Million Mani Retreats every year. Through the Puja Fund, pujas and prayers are offered by as many as 15,650 ordained Sangha throughout the year and dedicated to the success of the entire FPMT organization. The Prajnaparamita Project provides the material resources needed to write out the Prajnaparamita Sutra in pure gold. A retreat place is not for gaining power like black magic, it’s not for a honeymoon or holiday. Also it is not a place to be spaced out. The whole purpose is to subdue the mind and to actualize lam-rim up to enlightenment. It is a place for a holiday from negative karma, a holiday from the three poisonous minds and the self-cherishing thought, a holiday from the self-grasping of the person and phenomena, a holiday from the wrong concepts: non-devotional thought toward guru up to the subtle dual view of white, increasing, attainment. Or simply send your check in US dollars payable to FPMT, Inc. and write “Practice and Retreat Fund” on the memo line. Practice and Retreat Fund is a project of FPMT, Inc. and is administered by FPMT International Office located in Portland, Oregon, United States. All donations made to this fund are tax-deductible within the United States in accordance with IRS Code article 501(c)(3) to the extent allowed by law.